Roche is eyeing a new use for its checkpoint inhibitor immunotherapy Tecentriq after it posted results showing it extended patients’ lives by an extra two months compared with chemotherapy in untreated small cell lung cancer. The IMpower 133 trial was testing Tecentriq plus chemotherapy, compared with chemotherapy alone in patients with untreated extensive-stage small-cell lung cancer. Results from the phase 3 trial announced at the International Association for the Study of Lung Cancer annual conference this week showed patients on the Tecentriq and chemotherapy combination lived for a median 12.3 months. Those on chemotherapy alone lived for 10.3 months, according to the new data, which followed an announcement in June that said results were positive but providing no further details. The Tecentriq combination also significantly improved progression-free survival in the trial involving 403 patients – a median of 5.2 months compared with 4.3 months in the placebo group. 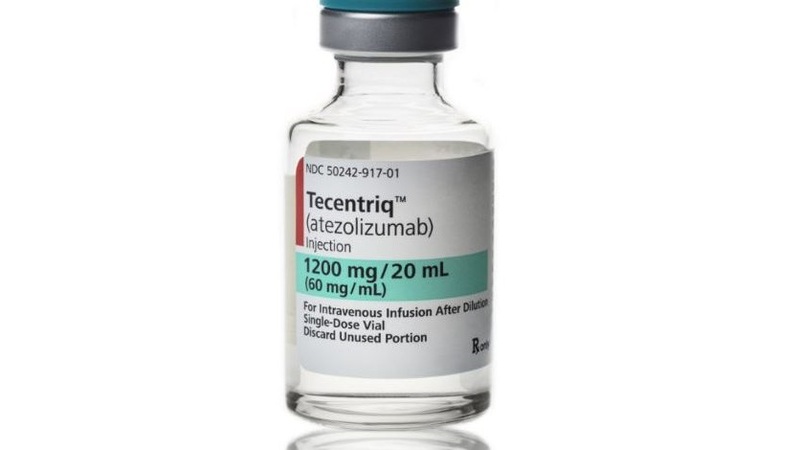 If regulators approve Tecentriq in the new indication, Roche will get a clear run in an indication where rival cancer immunotherapy companies such as Merck & Co and Bristol-Myers Squibb have not made inroads with their respective checkpoint drugs, Keytruda and Opdivo. Results with Tecentriq in the lucrative first-line lung cancer indication have not been as strong as Merck’s Keytruda – although Roche hopes to challenge US pharma in this indication with a combination of Tecentriq, Avastin, and chemotherapy. Roche’s chief medical officer Sandra Horning said: “The results with this Tecentriq combination in the initial treatment of extensive-stage small cell lung cancer represent the first clinically meaningful advance in the disease in over 20 years.